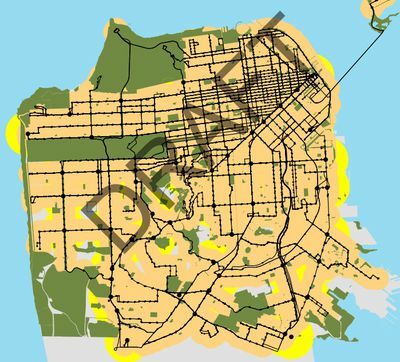 Well, according to the map included in a report presented to the San Francisco Planning Commission Thursday it seems that, yes, in its present form SB 827 would effectively up-zone some 96 percent of city parcels. “This is our best guess,” planner Paolo Ikezoe cautioned commissioners on Thursday, noting that SB 827 will certainly be further amended in the future and also that the city does not yet have “completely accurate GPS data on street width,” which determines the specific heights necessitated on blocks. Nevertheless, Izekoe told the commission, “On any parcel [marked on the map] a developer would be entitled to ask for a transit rich bonus. 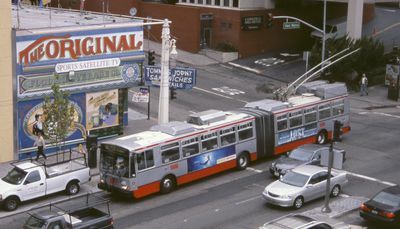 The city would be prohibited from enforcing a height limit lower than 55 or 85 feet” depending on the street. While this would mean no change from the present zoning for streets in areas already fairly tall and dense, the ramifications for low-lying residential neighborhoods on the west side of the city are profound. Tan areas are subject to taller bonuses, yellow areas shorter ones. Only the gray areas would be unaffected. Commissioner Kathrin Moore was even more dour, calling the law “the antithesis of planning” and a “dictatorial, Trump-like” bid to sap local authority. “I do not understand how a former supervisor can be so unappreciative and non-understanding of the dynamics of what this city can do,” said Moore. Chief among the complaints is the characterization of the bill as “one size fits all,” as planners and commissioners griped that it treats San Francisco, which has accelerated housing construction in recent years, no different from cities that have scarcely bothered to build at all. 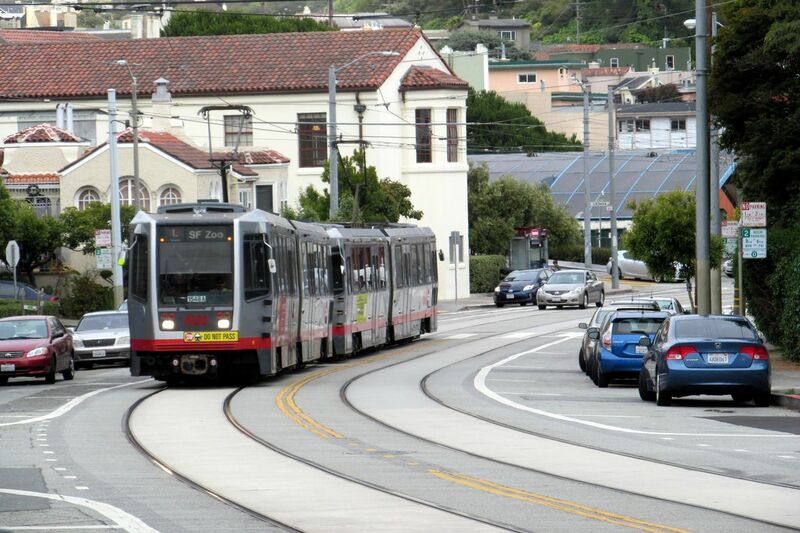 Earlier in the week the Board of Supervisors’ Land Use Committee took up a similar complaint in the form of Supervisor Aaron Peskin’s “Resolution Opposing California Senate Bill 827,” which also decries the broadness of the potential law’s effects. Despite complaints, Sen. Wiener characterizes the bill as a necessary spur to get reluctant cities to build more and has promised more amendments in the future to address some of the criticisms.